All Pearl Jam items listed below are authentic and very limited. We do not carry multiple items. All prices and availability are subject to change. All prices include shipping and handling for all USA customers. All other destinations will require actual shipping cost to complete transaction. Have a question? Ask us before purchasing the item. Thank You. 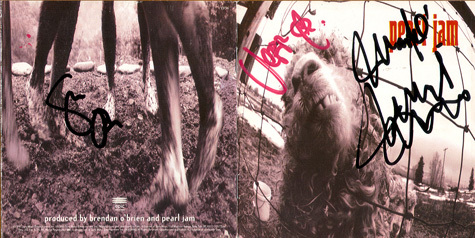 Description: CD Cover Pearl Jam VS signed by Stone Gossard, Jeff Ament and Mike McCready in black and red sharpie pen. CD disc not included. Note: Item signed by Pearl Jam backstage while on their 1993 US tour at the TNT Building in Oklahoma City, OK. Signed by: Stone Gossard, Jeff Ament and Mike McCready. 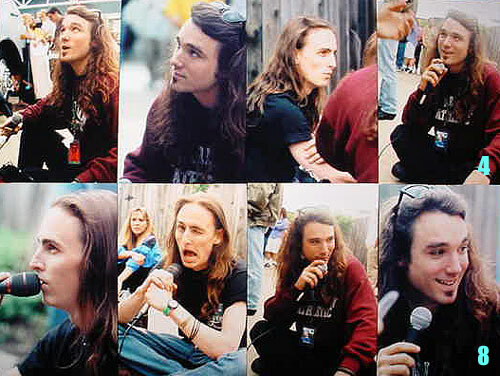 Description: 4x6 Color Concert photo signed by Mike McCready in purple sharpie pen. Personalized to Mike. 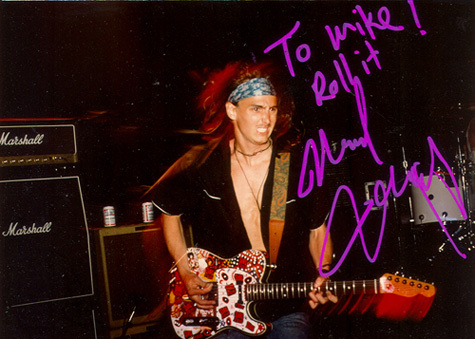 Note: Item signed by Mike McCready while on Pearl Jam's 1993 US tour at the TNT Building in Oklahoma City, OK. Description: Q102 Rock Radio Promo Sticker. 3x9 sticker. 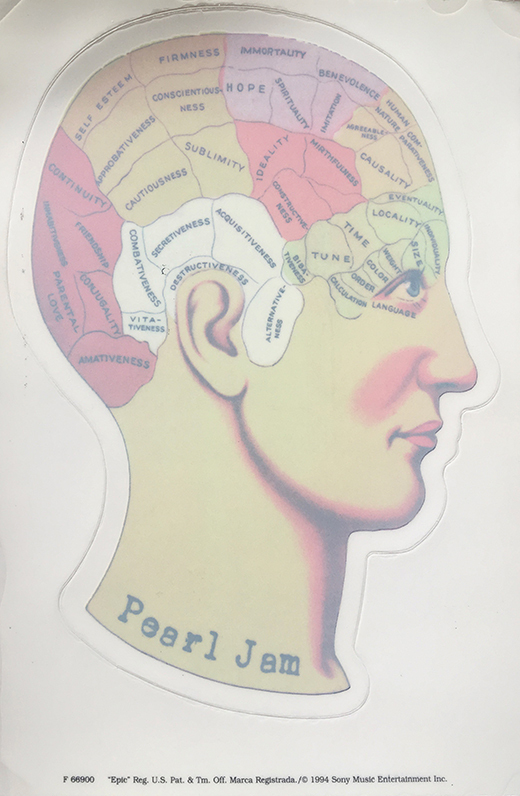 Description: Pearl Jam 1993 Stage Hand Dinner Ticket. Limited item. Size 2x4 Two Color. Note: Item acquired at backstage at the TNT Building in Oklahoma City, OK 1993 tour. These tickets were handed out to the stage hands so they can get a free dinner. 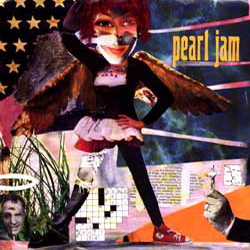 Description: Pearl Jam Angel US 45 rpm. Item in mint condition. 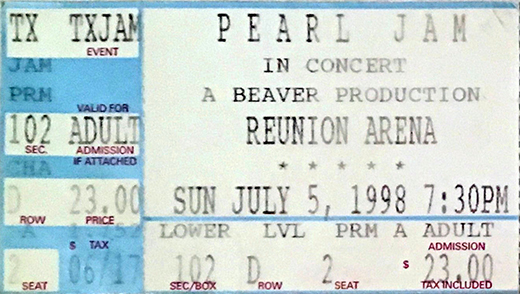 Description: Pearl Jam Ticket Stub Reunion Arena July 5, 1998. Item in VG+ condition. 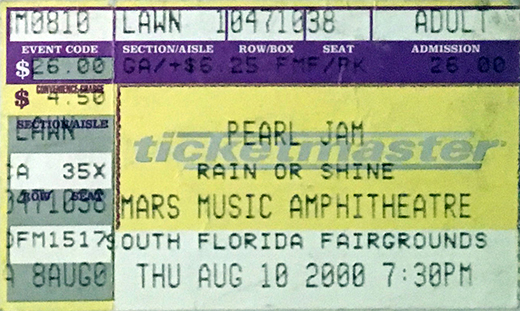 Description: Pearl Jam Ticket Stub Mars Music Amphitheater August 10, 2000. Item in VG+ condition. 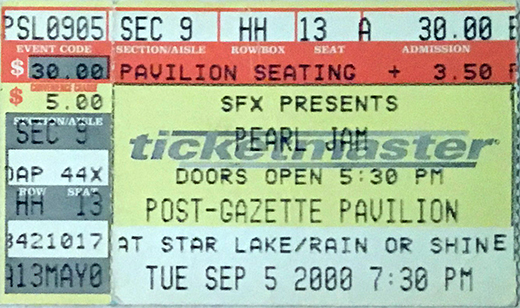 Description: Pearl Jam Ticket Stub Post Gazette Pavilion September 5, 2000. Item in VG+ condition.